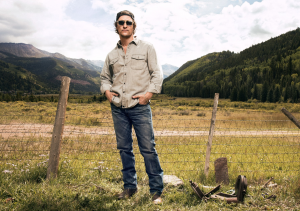 Matthew McConaughey in Telluride. Photo by Justin Bishop for Vanity Fair. Ed. note: Paul O’Rourke is a historian, writer, and film critic. This is the second of two posts on the Telluride Film Festival in which he shares his impressions of the films that screened over Labor Day weekend. Jonathan Lethem has authored a dozen novels, a short story collection, and three books of nonfiction. Until I learned he would be this year’s Guest Director, I’m embarrassed to admit I had never heard of him. I hurriedly read Motherless Brooklyn and confessed my sin to him when we met on Sunday morning, the festival’s third day. “There’s so many authors, so many books. It’s OK,” he smiled. Jonathan Lethem is a gracious and intelligent man. Motherless Brooklyn is visual and visceral and wonderful. I won’t reveal any more about the book. Read it and be amazed. I’m excited the novel is being transformed into a full-length feature film, directed by and starring Ed Norton. Cast members include Alec Baldwin, Willem Dafoe, and Bruce Willis. Who knows, Motherless Brooklyn just may make its way to Telluride next year. I will be in line. In addition to his director’s selections, Jonathan recommended Shoplifters, Dogman, and The Other Side of the Wind. Each one received significant “buzz” this past week. The 45th Telluride Film festival, like its predecessors, offered a full schedule of wonderful films covering a variety of topics, and thus appealed to an audience of equally divergent perspectives, on film and about life. That hundreds of people can come together for three and a half days to watch and appreciate film and movie making and then depart exhausted perhaps, but a little (or a lot) better off intellectually and emotionally as a result is the festival’s magic. And that enchantment is due in large part to the tireless, effectual and wise work of the festival’s directors, Tom Luddy and Julie Huntsinger, and their marvelous team. That literature as a theme found its way to this year’s festival should come as no surprise, considering the guest director’s hand in the selection process. Melissa McCarthy and Richard E. Grant in Can You Ever Forgive Me? (discussed in the previous post) and Non-Fiction are both great films. The latter, with Juliette Binoche playing a TV celebrity and wife of a successful book publisher, is witty and wise and contemporary as it delves into numerous relationships involved, as they are, in a literary world that is more and more becoming digitalized and thus losing its intimacy. The dialogue is fast like many French films and smart and light and Director Olivier Assayas succeeds, as he so often does, in presenting a familiar theme with an intelligent twist and a smile. The theme of human confinement and punishment was presented in several noteworthy films with noteworthy performances. Laura Dern plays a persistent angel of mercy as she desperately attempts to save the life of convicted murderer Cameron Todd Willingham (Jack O’Connell) in Trial by Fire. Director Edward Zwick (Glory, Legends of the Fall) takes award-winning journalist David Grann’s New Yorker piece that completely discredited the prosecution’s case and weaves it into a compelling story of kindness, goodness and much hoped-for redemption. A true-to-life father-son story set in 1980s Detroit, with its debilitating poverty and crime and cocaine, becomes the vehicle for Director Yann Demange and Matthew McConaughey and newcomer Richie Merrit, who is White Boy Rick, to explore a world of crime and punishment, of justice miscarried. Believing in the promise of the American dream, Ricky Wershe’s unassuming dad, Richard, Sr. (McConaughey) watches as his son gets involved in drug dealing—a last ditch attempt to help the family survive on the mean streets—and who is then coerced into becoming an FBI informant in order to protect his father. Federal agents gave Rick (Jr.) cocaine to deal and helped him gain access to the gangs he’d later incriminate. Imprisoned as a teenager due to the “War on Drugs” mandatory sentencing requirements, white boy Rick is the definitive and sentimental fall guy, spending decades behind bars long after the murderous gang leaders he helped convict are back on the street. The college-bound son of a devout Baptist minister and Arkansas car dealer (Russell Crowe) and a god-loving mother (Nicole Kidman), Jared (Lucas Hedges, Manchester by the Sea and Lady Bird) admits he has homosexual feelings. The choices for Jared’s parents and for Jared, as a result, are extreme: leave the house and the family or agree to Christian-themed conversion therapy, a series of confined instructional sessions intended to root out and expunge his sinful tendencies. Based on Garrard Conley’s memoir, Boy Erased is directed by Joel Edgerton (Black Mass and The Gift), who also plays the leader of the conversion camp. This film is a moving and expertly told story of a young man in search of and ultimately discovering his true self. As Jared’s parents evolve, slowly and a bit painfully, from rigid religious conservatism and hypocrisy to a more informed view of what conversion is and is not, we see a welcomed transformation in them as they come to understand that love—especially a mother’s love—is what will keep them and the family whole. A mother’s love and a bit of magical realism, not to mention a very charismatic 10-year-old boy make A Fistful of Dirt a film to get excited about. Set in an impoverished yet spirited Puerto Rican community after last year’s devastating hurricane, Director Sebastian Silva follows Yei (first-time actor Julio Gaston Ramos) as this poor boy tries his best to contribute to the economy of an equally poor family who’ve taken him and his ill and dying mother, Wanda, into their home after theirs was destroyed by the storm. In his daily crab catching and gasoline scrounging Yei encounters a bizarre sea-going creature like nothing he’s ever seen, that no one has ever seen that has been washed into a lagoon by the force of the storm surge. From that point forward things get a little unhinged for Yei as he tries to navigate his mother’s illness and at the same time deal with his otherworldly sea-dwelling discovery, for which he grows an obvious affection. In the frenetic and somewhat disturbing conclusion, the audience walks away satisfied that Yei has followed the best course; he’s where he is supposed to be. Director Hirokazu Kore-eda, who last visited Telluride 14 years ago with his film, Nobody Knows, was back this year with his wonderful film, Shoplifters, winner of the Palme d’Or at Cannes. Shoplifters is the heartwarming story of a Japanese family on the brink of poverty, struggling to make ends meet and to hide a few family secrets in modern day Tokyo. This is hardly a traditional family unit, consisting as it does of a man, a woman, three children of various ages (two girls and a boy), and an aging grandmother, whose relationships to one another are not clearly defined, either genetically or legally. The family is supported by the grandmother’s social security check and the kids’ resourcefulness as petty thieves. As Kore-eda explained it, his film was intended to ask the question, “What makes a true family? Is it blood or is it shared experience and struggle?” Shoplifters provides the audience with an emotional and gratifying answer. Please see this film. Family and what constitutes and sustains family is at the core of Roma, a sublime (I am not overstating the case) film from director-writer-cinematographer Alfonso Cuaron (Harry Potter and the Prisoner of Azkaban, Gravity, and Y Tu Mama Tambien). Cuaron explained his many roles in making this film is the result of his own curiosity, his need to explore the memories of his own upbringing in a Mexico City neighborhood called Roma. In lustrous black and white footage he tells his story from his nanny’s point of view, a very important person in his own development according to Cuaron. In Roma the nanny is Cleo (Yalitza Aparicio), a loving and hardworking indigenous girl who escaped extreme poverty and came to the big city to find employment and a home with a middle class family. How Cleo and the family (three boys and a girl, a mother, and a father who is absent for most of the film) come to grips with their own lives and what their relationships to and with one another really means is presented gracefully in a sensual, emotional and lyrical cinematic style by a master filmmaker. Roma and Alfonso Cuaron are very special. I cannot recommend this film more highly. As is often said about the schedule at Telluride Film Festival, “you can’t see ‘em all.” And I didn’t come close. Dogman, Front Runner, Border, Girl, Free Solo and Cold War and the other films that made important contributions to this year’s festival aren’t mentioned here, but they are films that deserve to be seen. All of the films in one way or another, thanks to their remarkable makers, are imbued with grace and an overarching humanity. And for that we should be grateful. In these times, the 45th Telluride Film Festival was just what the doctor ordered.